Thursday, March 14, 2019. 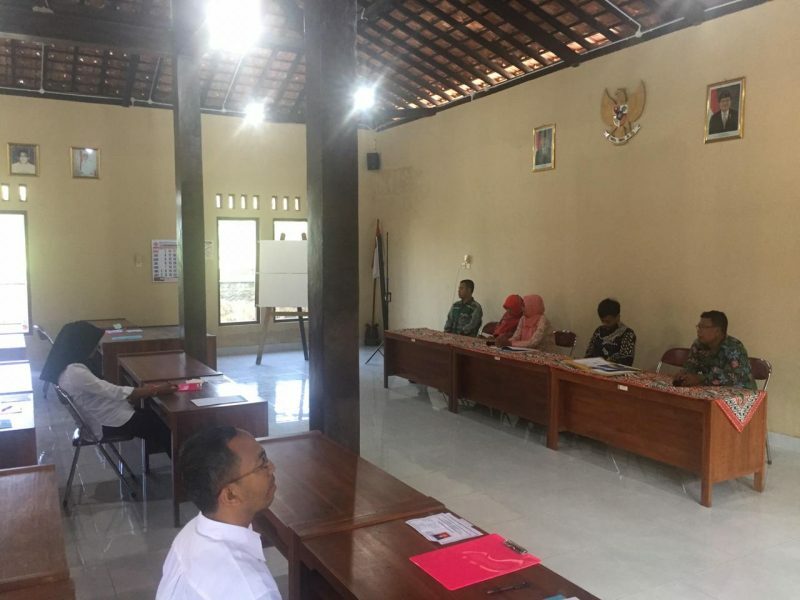 UMY Government Science Master’s Program Study in collaboration with Pleret Village, Panjatan District, Kulon Progo Regency successfully held a selection of Village Devices. The selection process was conducted at Pleret Village Hall with a total of 14 participants. The event was opened by Kusman as Chair of the Selection Committee and Dr. Dian Eka Rahmawati, M. Si as Cha irperson of MIP UMY Study Program. The event was attended by government elements from the Panjatan Subdistrict, Panjatan Koramil, Pleret Bhabinkamtibmas, Panjatan District Police, and Pleret BPD. The Head of Pleret Village, R. Widayaka witnessed the opening of the question sheets which were still sealed before being distributed to the selection participants. 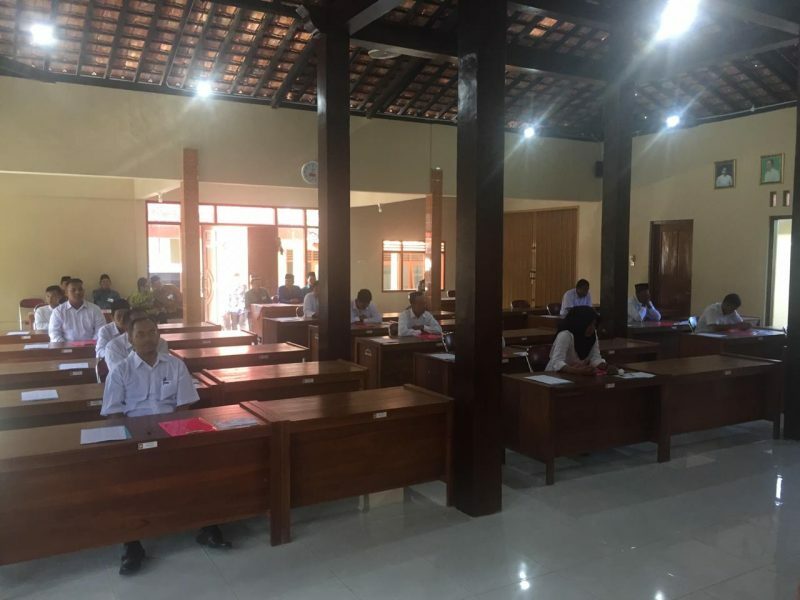 The value calculation process is carried out transparently and witnessed by all the selection participants along with the Committee and Witness Team from the Panjatan District. This shows that the principle of transparency and accountability in the implementation of village device selection has been done well by the Implementation Team, namely the MIP UMY Study Program. The purpose of the selection is to get the best candidates for one position. Through this selection process, all stakeholders involved hope that whoever is elected will provide the best service and commitment to rural development as well as to the people of Desa Pleret in general.